Woodland Mills Inc ("us", "we", or "our") operates the following websites (hereinafter referred to as the "Service"). You can choose to have your computer warn you each time a cookie is being sent, or you can choose to turn off all cookies. You do this through your browser settings. Since each browser is a little different, look at your browser's Help Menu to learn the correct way to modify your cookies. If you turn cookies off, you may not be able to use some portions of our Service. 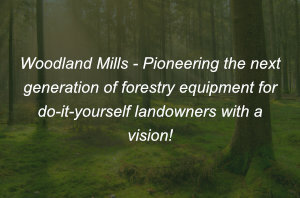 Displayed on the following webpage https://trustspot.io/store/Woodland-Mills which is managed by the third party reviews platform TrustSpot which we use to collect and manage customer reviews. Under certain circumstances, Woodland Mills Inc may be required to disclose your Personal Data if required to do so by law or in response to valid requests by public authorities (e.g. a court or a government agency). If you are a resident of the European Economic Area (EEA), you have certain data protection rights. Woodland Mills Inc aims to take reasonable steps to allow you to correct, amend, delete or limit the use of your Personal Data. If you wish to be informed about what Personal Data we hold about you and if you want it to be removed from our systems, please contact us. The right to requests access to, to have updated or have deleted the information we have on you. To exercise these rights, please contact us using the contact information provided below. The right to withdraw consent. You also have the right to withdraw your consent at any time where Woodland Mills Inc relied on your consent to process your personal information. You can opt-out of Google Analytics for Display Advertising and customise the Google Display Network ads by visiting the Google Ads Settings page: http://www.google.com/settings/ads Google also recommends installing the Google Analytics Opt-out Browser Add-on - https://tools.google.com/dlpage/gaoptout - for your web browser. Google Analytics Opt-out Browser Add-on provides visitors with the ability to prevent their data from being collected and used by Google Analytics. This Service uses Facebook advertising & Facebook remarketing services to advertise within the Facebook application as well as on third party websites to previous visitors to our site. The Fair Information Practices Principles form the backbone of privacy law in the United States and the concepts they include have played a significant role in the development of data protection laws around the globe. Understanding the Fair Information Practice Principles and how they should be implemented is critical to comply with the various privacy laws that protect personal information. In order to be in line with Fair Information Practices we will take the following responsive action, should a data breach occur: We will notify the users via in-site notification within 7 business days. We also agree to the Individual Redress Principle which requires that individuals have the right to legally pursue enforceable rights against data collectors and processors who fail to adhere to the law. This principle requires not only that individuals have enforceable rights against data users, but also that individuals have recourse to courts or government agencies to investigate and/or prosecute non-compliance by data processors.